installations and repairs of commercial and residential garage doors in Oakville we do opener , springs ,cable and drum repair and replacements . 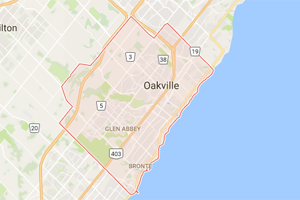 Oakville homes are beautiful and you are probably very proud to live in such a great area. You want every aspect of your home to be perfect. So why not consider upgrading the look of your garage door? Express Garage Doors are able to perform perfect garage door installations every time. We can also repair and replace any garage door component so that your Oakville garage door remains reliable and looks great. A faulty garage door can cause all kinds of frustrations and problems. One of the usual suspects that is usually the cause of most garage door issues is the garage door spring. We can safely remove and replace any garage door spring and give you back the ability to open and close your garage door with ease. Garage door cable installation should only be attempted by professionals. To properly instal a garage door spring you need the experience and knowledge that only our team of experts has. Your Oakville home will thank you for it in the long run. Any mistakes made during the garage door cable installation could significantly shorten the lifespan of the cable. It is no use to simply have the garage door installation completed then sit back and ignore it. The garage door of your Oakville home is probably used more than once a day, so you really need to make sure that it is maintained properly. The Express Garage Doors team can do this for you. Oakville Garage door is your ideal Source for Commercial Overhead Door & Opener Repairs & Maintenance.